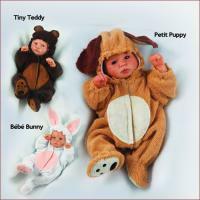 For the finest results Secrist Doll Company recommends and offers only the original and genuine Colour & Clay Shapers�. Colour Shaper is proud to be a partner of the Secrist Doll Company, visit them at www.colourshaper.com. Our high quality clay shapers will last you a very long time and not break down with regular wear and tear like cheaper imitations. Sculpting minis requires mini tools and now clay shaper tools are available in mini size. Would you like to create more realistic creases & wrinkles? Most artists make slits instead of wrinkles but with these mini clay shapers now you can make smooth rounded wrinkles like real babies have. 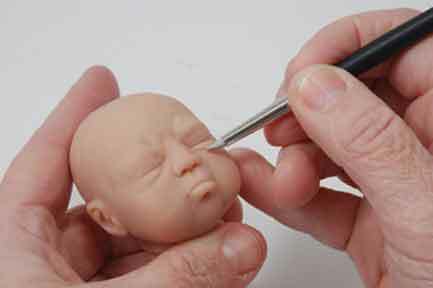 Secrist Clay Shapers are the best set of sculpting tools for baby sculptors in the doll world today. They allow a level of control not available with most other kinds of tools. Learn how to effectively use these wonderful tools through our video "The Art of Sculpting."